I don’t know what happened, but I think the military did it to me. It turned me into a geek. It wasn’t always that way. My brothers and I grew up playing with toy guns and throwing GI Joes off the roof to see if their parachutes would open. There was a visceral need within in us that was satisfied by blasting plastic Army men with BB guns. Somewhere along the line, however, GI Joes and Army guys faded into obscurity, and the void was filled by electronic gadgets. The military makes you play with gizmos semi-continously, and they have to work every single time. Remember when LAKE ERIE shot down the Soviet satellite as its orbit decayed? 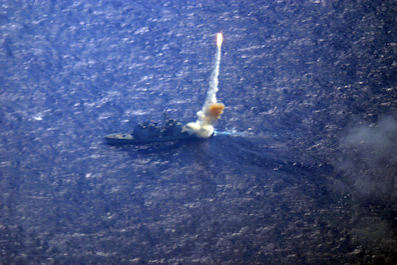 Blasting space junk from a Navy ship was not only a technological marvel, it was also a vicarious victory to those of us (which is most of us) who insist that things work right. Electronic perfection is bred into us. I am no longer in uniform, yet tonight I stayed up until almost midnight getting some phones to work at a nonprofit organization’s office. I could have – should have – walked away, satisfied with the work already accomplished. But I didn’t. I couldn’t. Like a doper on heroin I had to get my electronic fix. When it was over, the euphoria kicked in. I had taken on an electronic puzzle and completed it. It was a rush. My electronic habit had been satisfied and, finally content, I headed for the door. Then I saw the laptop.